Clinical Partners offers a comprehensive Occupational Health service, to help you meet your key workplace needs. It is a bespoke service, tailored to your organisation and focuses on quality, adding value and keeping your costs to a minimum. Traditional models of ‘buying’ in Occupational Health services can be expensive, inflexible and involve lengthy contracts. We don’t believe that companies should have to tie themselves into these types of arrangements, it simply doesn’t suit how most organisations work. Instead, Clinical Partners Occupational Health offers a new way of providing your company with a flexible, fast and effective service an employer can access when they need to. Pay as you go - You only pay for what you use, when you use it. Subscription service – some organisations will want to have more comprehensive OH cover, so our subscription service offers on demand easy access, to OH advice and support as well as an annual on-site visit by a senior OH advisor, discounts on referrals and reviews and two training days a year. Clinical Partners is the UK's largest private mental health partnership, with a carefully selected nationwide team of Psychiatrists, Psychologists and Psychotherapists, all handpicked for their clinical skills and human qualities, which means you can place your trust in them. We offer Adult, Child and Family mental health services as well as having established medico legal, locums, neuro rehab and occupational health departments. Our OH team is a dedicated and highly experienced team, with a wide knowledge base of all aspects of occupational health and its application in the work place. The team have years of experience in various industries and know that when it comes to OH provision, one size does not fit all. Headed up by Helen Humphreys, a Registered General Nurse, Qualified Occupational Health Advisor and Specialist Community Public Health Nurse – OH (Part 3 of NMC Register), with 30 years of OH experience, our OH team is not only caring but able to really make a difference to the organisations that we work with. How does the Clinical Partners OH service work? Employees can’t self-refer to OH. Instead, managers should contact our OH team (please call 0203 326 9160) and using a simple and effective referral process, we will make contact with the employee to arrange a telephone consultation. Following this telephone consultation, a comprehensive management report is written, which is sent to the employee and the manager. This report is normally made available within 24 hours. If absence from work is expected to continue, advice will be given on whether this is likely to be short, medium or longer term allowing you to better plan. Advice on whether the employee is accessing appropriate support and care. Advice to employees to help steer them towards the most appropriate first line care. This could be NHS / GP services or private – that is up to you and your employee to decide. The report will assess the underlying causes / contributory factors of the absence enabling a fast resolution. The report will advise if further referrals to other health professionals would be helpful. If psychiatry, psychology or psychotherapy is recommended we can help arrange that or you can choose to use NHS services – that is up to you. Crucially, the report will identify what reasonable adjustments might be considered, in the workplace, in line with the Equality Act 2010; this will help prevent future problems. We can offer follow ups to monitor progress, advise further on the rehabilitation programme and support the return-to-work programme. What are the benefits of an Occupational Health assessment? The OH team will assist you to address absence issues quickly. This will help expedite a prompt and appropriate return-to-work. Early intervention can significantly reduce the time an employee is absent and reduce the cost to your business. By managing the OH process, we free you up to get on with the day job and you can have confidence that your employee is being supported in the best way. We are available to answer any questions you have, so you won’t feel out of the loop at any stage. We know that each company is unique and so are their health needs. That is why our bespoke services are tailored to ensure maximum benefit at minimum cost. We are passionate about healthcare, so if you don’t see the service you are looking for below, please do ring us and we will see if you we can help you. 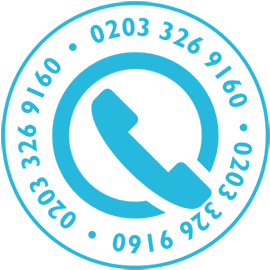 If you would like to talk to someone today about how we can help your organisation and the health of your employee’s, then please ring 0203 326 9160.